David Martinez, former outfielder, is the current manager of the Washington Nationals of Major League Baseball (MLB). He previously served as the bench coach for the Tampa Bay Rays where he arrived in 2008, and also for the Cubs under Joe Maddon’s leadership. His three-year contract however, does not guarantee him continuity with the team. The only question mark in the capital of the United States seems the performance of Dave Martinez as Nationals’ manager. After not being able to advance from the first round of the postseason last year, the team management decided to put an end to Dusty Baker and give Martinez his first opportunity as a leader in the majors. Dave has been Joe Maddon's assistant since the time of Tampa Bay and accompanied him to Chicago, but now for the first time he will have to take charge of a team, and, in this case, it is not an easy one, because the Nationals, with Bryce Harper, Daniel Murphy, Stephen Strasburg and company, are considered to have a clubhouse with strong personalities, which were very well controlled by manager Dusty, but for someone who starts his career as such, it will be a much more complicated task. The advantage for Martinez is that he will be surrounded by people with as much experience as Derek Lilliquist (pitching coach), Kevin Long (hitting) and Chip Hale (bench coach), but always with that statistic that the Nationals have against: little patience of the organization with the managers. Since moving to Washington, D.C. in 2005, the Nats have had eight mentors, and none have lasted more than three seasons in office. No wonder specialists think Martinez will only manage to overcome that mark if he reaches the World Series. His team can definitely do it, but it will be a hell of a test for someone who will debut in this campaign. Who is he counting on? The rotation, led by Max Scherzer and Stephen Strasburg, seems the best in the field. Gio Gonzalez and Tanner Roark could make it the best of the league if they get a little consistency and the bullpen will have the three elements that came in 2017 to save the season: Brandon Kintzler, Ryan Madson and Sean Doolittle. Certainly, names that provide hope for a great future. 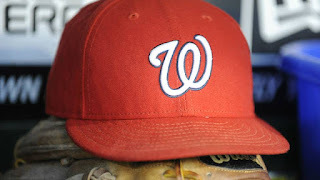 The Nationals of Washington dominated the Eastern Division of the National League in 2017 and relying on the movements of the team in the winter break, the situation should not change in the campaign that is about to start. The team on the field will be practically the same, but with the return of Adam Eaton, who had a great start to the season in his first year in Washington, before falling on the disabled list and missing the rest of the period. Can Martinez assemble a team to reach the top of the top? Only time will tell.